Train smarter and go farther with Surge—a sleek, fitness super watch designed to help you maximize your performance on the track, in the gym and all day. Make the most of training with built-in GPS, automatic and continuous wrist-based heart rate, and simplified heart rate zones. 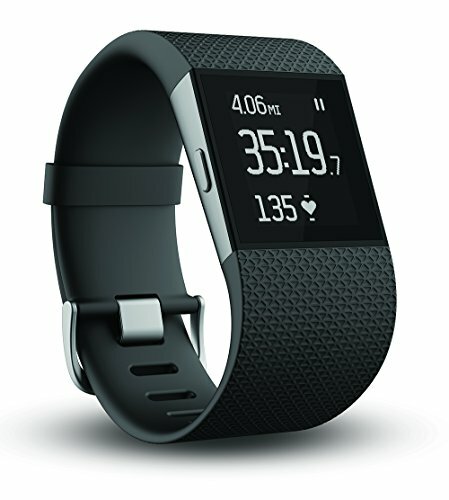 Track daily stats like steps, distance, calories burned and sleep. Record runs, cross training and cardio to see comprehensive workout summaries. And stay connected on the move with advanced smartwatch features like call and text notifications and music control. With all these features and more, Surge has everything you need to beat your best.